Everybody loves to play games, being a child or an adult. 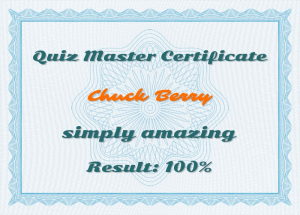 Make it possible for the visitors of your Facebook page and get even more fans with a Quiz application. 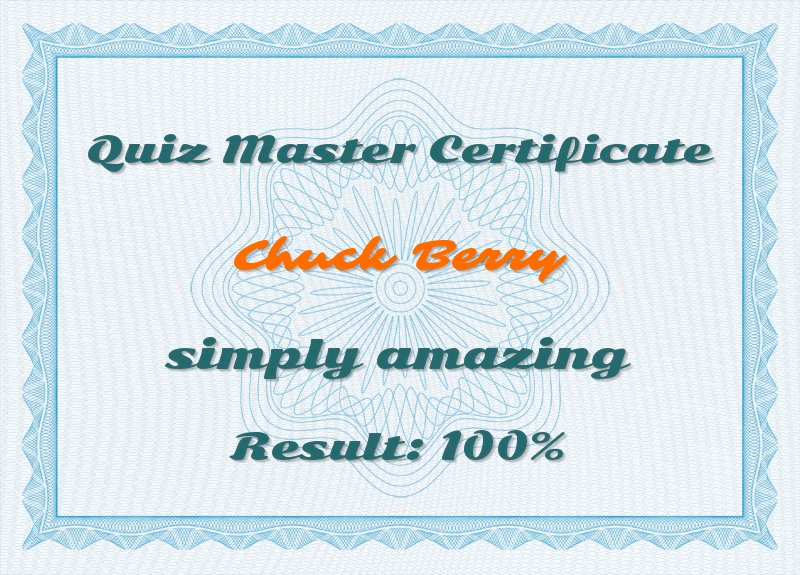 Make the game viral with the certificate that appears on your players’ wall. You can specify the questions for your quiz, you can set how it should look like, and you can even define the certificate that appears at the end of the game. 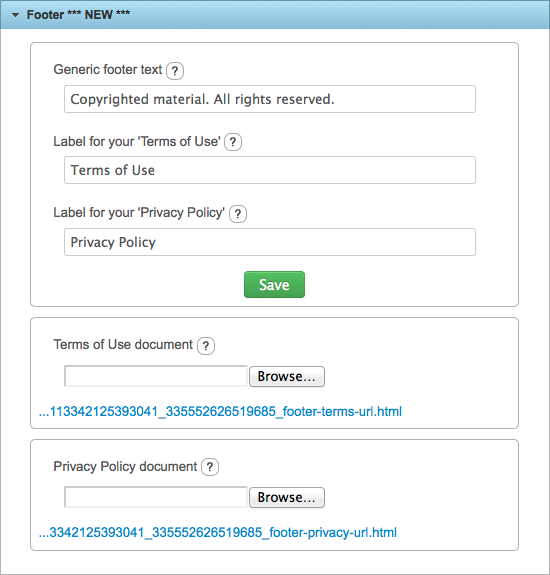 In order that someone can play, he or she has grant permissions to the application letting it access the player’s basic personal data (name, email address, birth date) that are stored and you can list and even download at the end. 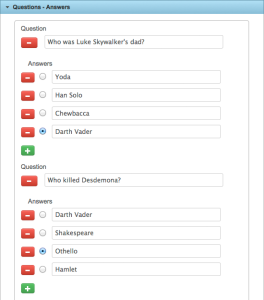 To have all that working you have to set up your quiz. If you haven’t done that already click on the I want this button of the Quiz application on the Applications screen and select the Facebook page (by clicking on the For this page button) you want to install the new app. 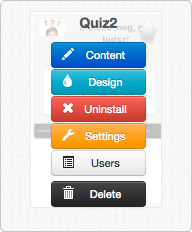 If you have created your Quiz earlier, look for it on My stuff screen and click on Content. 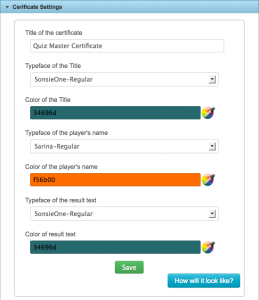 The content editor of Quiz – just like most of the content editors of other Pagerider applications – consists of sections working like an accordion. 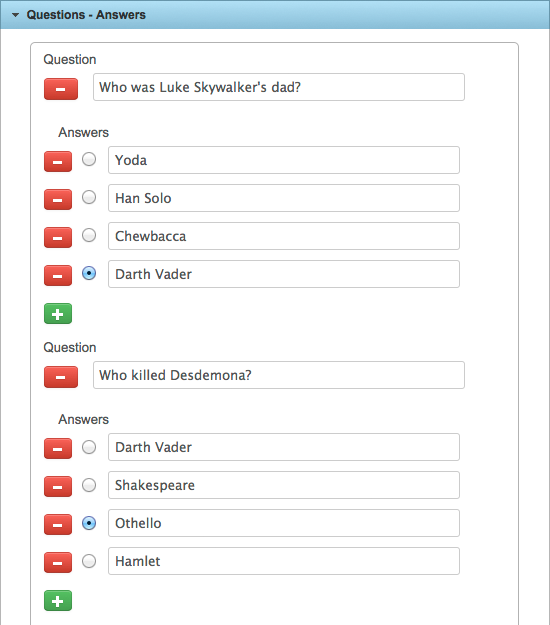 Click on the title of any of the sections to edit that part… You can configure many attributes of your Quiz. 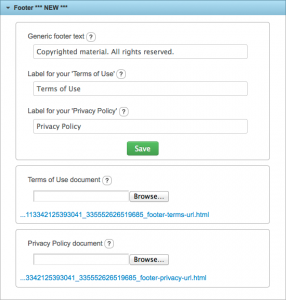 In the header section you can upload an image that is going to appear in the upper part of your app. (Attention! Facebook page applications are 810-pixel-wide. There is no need to upload a picture wider than that.) You can specify here the title and subtitle as well. 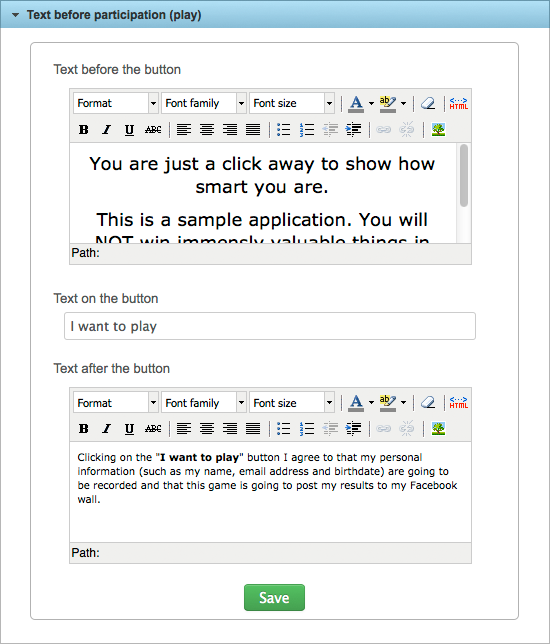 You can have text above and below your button that is to be clicked on for playing. Even the button text can be changed. The most exciting part is where you provide the questions and answers. 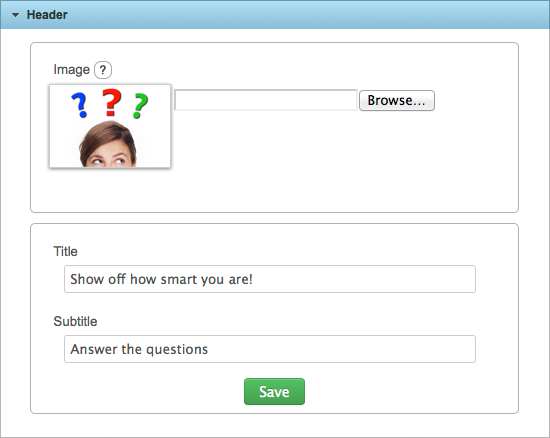 You can add new questions and answers or delete unwanted ones respectively with the red X and the green +. Select the right answer with clicking on the radio button in front of it. Don’t forget to click on Save. 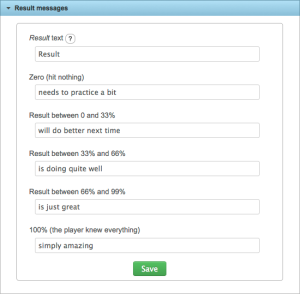 In the field Text to be written to the wall you can specify a text – well, how could I put it properly? I got it – will be written to the wall. 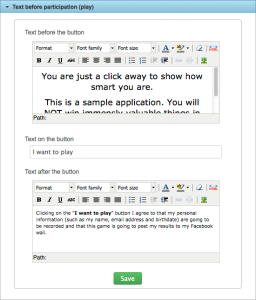 Which means that your visitor/player will get a status message on her wall with clickable link to your application. 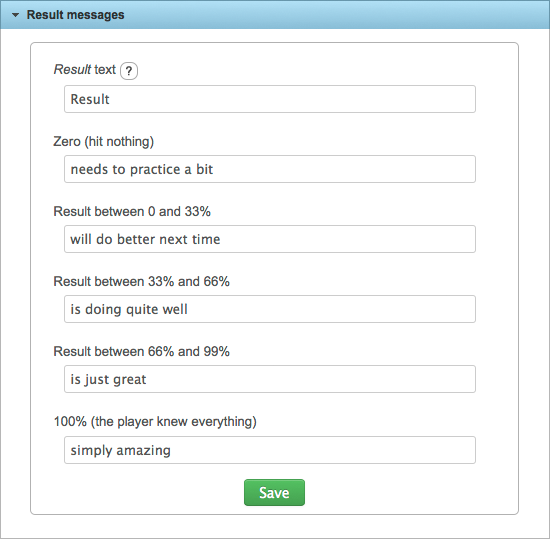 Some of our users requested the possibility to define different messages depending on the player’s performance. This is the section where you can do that. 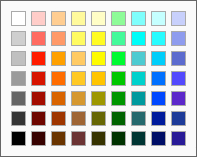 …use the color-picker. Many of us are of the visual type and want to see whet we created. 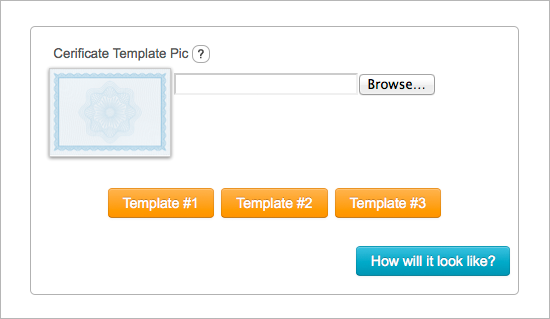 To preview your certificate, click on the How will it look like? button. As a background of your certificate you may choose one of our three designer templates, or upload you own. If you upload your own design for the certificate please make sure that it is not wider than 800 pixel. And the final result? This is what you have worked for so hard: Limitations during the trial period If you use the Quiz with your trial plan (free of charge throughout 14 says after regsitration) the certificate will be posted only on your first 10 players’ wall, you can see the personal info only of the same 10 people, and you cannot download or delete the list of the players.